Nusa Penida is the largest of three offshore islands lying Southeast of Bali in the Badung Strait, and until quite recently had remained relatively untouched by tourism. Now there is growing interest in developing the area. Kelingking Beach, a natural rock formation that most visitors will say looks like the head of a T-Rex. 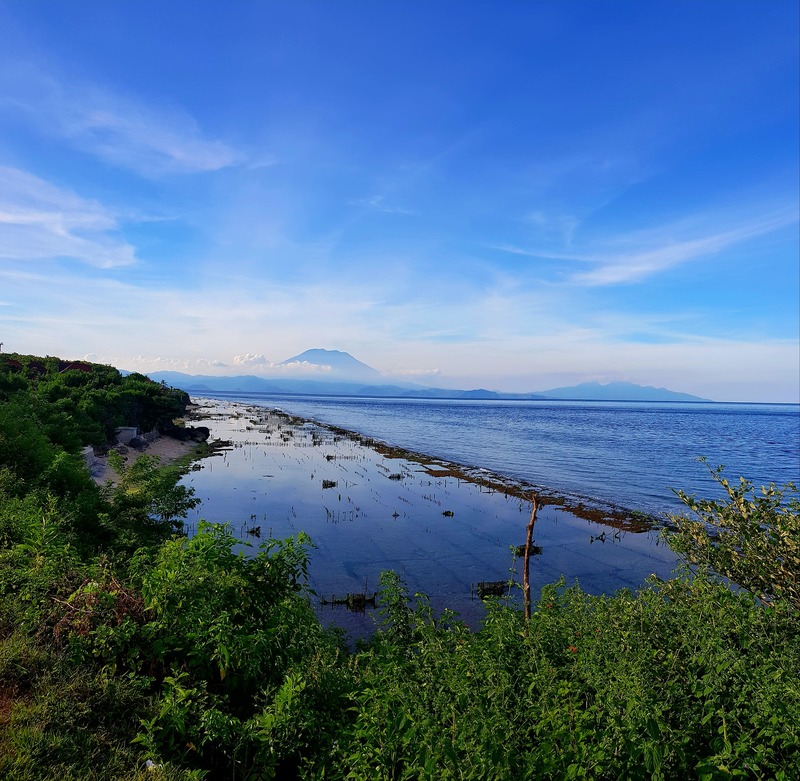 Views to Mount Agung on Bali's east coast. Nusa Penida's Broken Beach, which is actually a natural bridge formation. Nusa Penida, Nusa Lembongan and Nusa Ceningan are three of the most famous islands off Bali's southeast coast, all of which are included in Bali's smallest regency called Klungkung and have remained relatively unspoiled as the tourism industry booms. But now it appears things are changing. Local news wires are reporting on a direct investment for resort project funding in Nusa Penida by Singaporean investment firm Star Pacific Capital (SPC) who are planning to build luxury villas and resorts. According to Bali Bisnis, Managing Director of SPC, Calvin Lutvi, said in a press release "this time we aim for business in the hospitality sector by providing a source of funds for the construction of resorts in Nusa Penida." The press release continued by suggesting that to optimize expansion SPC would cooperate with local entrepreneurs as partners with the idea of sharing participation. Bali's tourism growth appears to be the driving factor. And because Nusa Penida is just a short 30-minute speedboat ride from Sanur, and a 10-minute ride from neighboring Nusa Lembongan, it makes sense for the island to tap into a growing number of visitors. Bali is just 30-minutes away by speedboat. Here are views to Mount Agung on Bali's east coast. Image by maikij1022 on Pixabay. 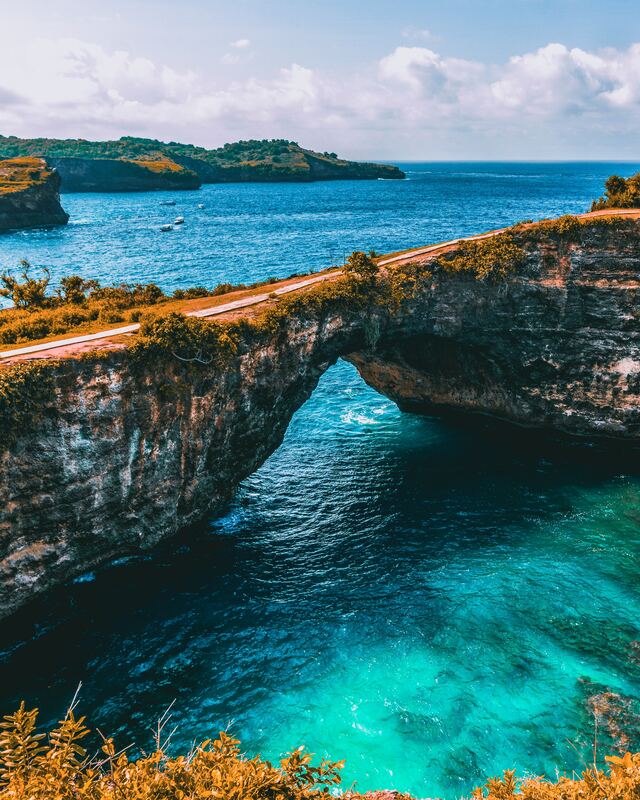 Nusa Penida's underdeveloped infrastructure and poor safety record however, will certainly need to be improved if it aims to attract high-end visitors and those interested in property development. Many would argue nonetheless, that the rewards are worth the inconvenience and risks. Apart from being the unofficial home of the endangered Bali Starling, Nusa Penida's main attractions are spectacular beaches and unique natural features: Atuh Beach (an isolated white sand beach), Crystal Bay (one of the most popular dive and snorkeling spots), Broken Beach (a natural bridge formation), Kelingking Beach (a natural rock formation that most visitors will say looks like the head of a T-Rex and is also known as 'Secret Beach') and Billabong (a beautiful small lagoon, just a couple of minutes walk from Broken Beach) are just some of the wonders visitors can expect to discover. Nusa Penida also presents opportunities for alternative energy. Bali has been hosting the CIGRE AORC Technical Meeting 2019, which brings together experts and key stakeholders in the Asia and Oceanic region to address current challenges in delivering secure and efficient energy. Bali Ekbis is reporting that Nusa Penida was a topic of discussion around identifying the most promising potential venues for solar farms and wave plants. CIGRE (Conference Internationale des Grandes Reseaux Electriques) was formed in France in 1921 with the mission of committing to the collaborative development and sharing of power systems expertise globally, to enable the sustainable provision of electricity for all.